Because of its versatility and efficiency, a countertop convection oven has been a favorite staple in most kitchens. It is smaller and more compact compared to other conventional ovens, which makes it great for kitchens who may have a limited space. 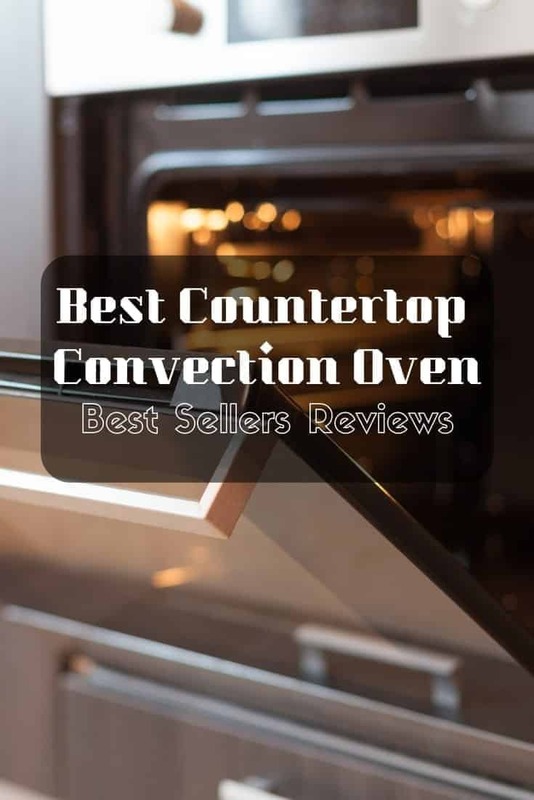 Many people, both amateur cooks and professional chefs, have been on the hunt for the best countertop convection oven for their own homes. Not all countertop ovens are made the same. 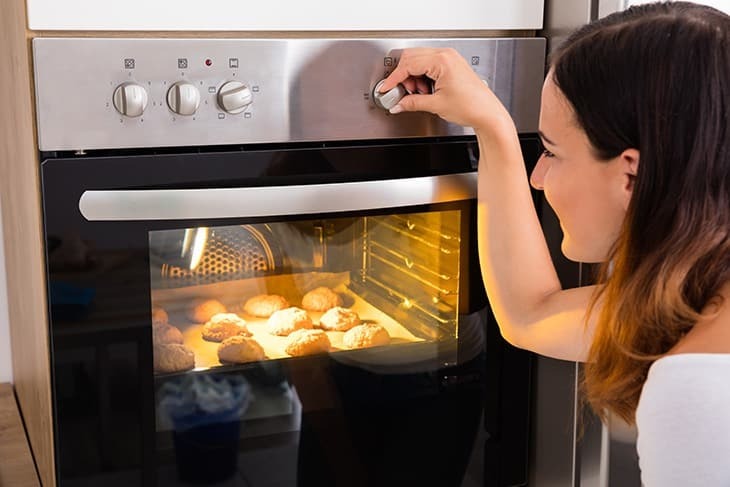 Before purchasing a countertop convection oven for your home or as a gift, it is important to first take into account certain considerations. How energy efficient is the countertop convection oven? Does it require high energy for just a minimum heat level? Check the oven’s heat and energy efficiency units. Good countertop convection ovens have small wattages, while still give temperatures that are relatively high. How big is the oven? Will it fit in my countertop space? It is very important to measure the dimensions of your countertop space and then the convection oven that you plan to buy. It is crucial to be mindful of the precise dimensions of the free spaces you have in your kitchen, to make sure that your countertop convection oven will fit well. 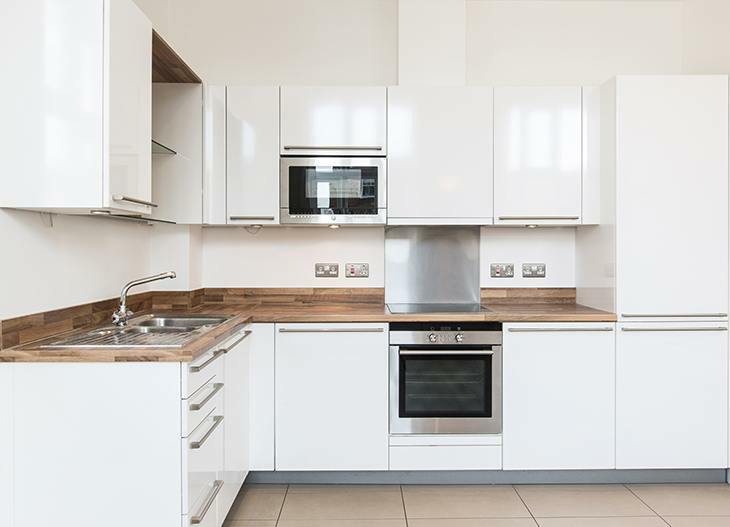 The size of the oven should also be able to accommodate the type of food you wish to cook, bake, or heat in it. There are ovens that are only small especially designed for small portions of food, and there are also huge ones that can fit a whole chicken. When choosing which size you are going to buy, consider what meals or food you are planning to cook, bake, or heat, in the countertop convection oven. What are the features and functions of this oven? Another thing that comes with what meals you want to make using a countertop convection oven, are the specific features of the oven. These will heavily depend on the type of food you wish to cook. Does it have a rotisserie setting? Does it have multiple racks? Are the racks adjustable? Some countertop convection oven offers other functions such as baking, broiling, and toasting. Is the oven ease of cleaning the countertop convection oven should also be considered before buying one. Ovens with removable racks, and those with parts that are safe to use in the dishwasher, are those that are easy to clean. 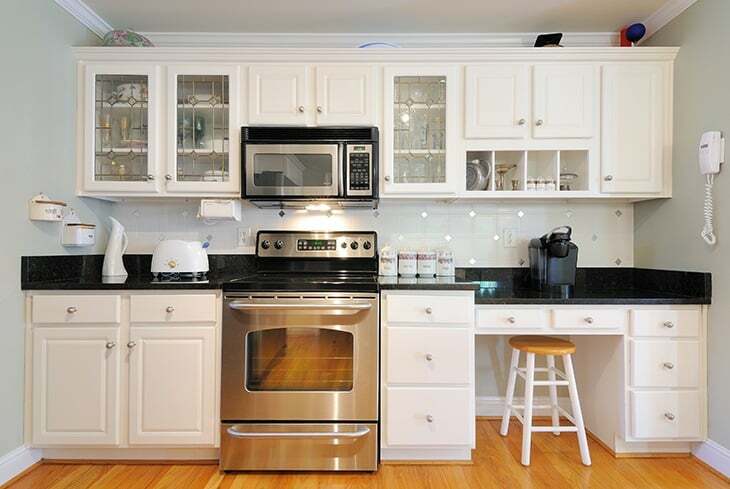 Will the countertop convection oven blend well and look good with the design of my kitchen? It is always a plus if you check the appearance and the style of the oven before buying one. Once you understand how your countertop convection oven really works, cooking using it will be fairly easy. 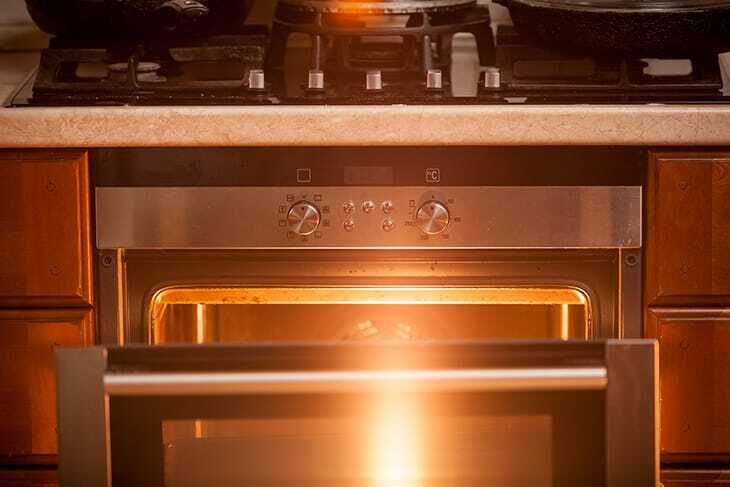 Below is a list of tips that will help you maximize the flexibility and efficiency that countertop convection oven can bring. 1. Use the correct pans. The pans that you will be using should have at least 1-2 inches of clearance on all sides. As much as possible, choose the ones that have low or no sides. This will allow air to better circulate, or else, the main convection function will just be forfeited. Choosing the right pan is important in order to maximize the benefits of countertop convection oven. Air circulated around the food in convection ovens, which is why high temperatures can be spread more easily. Lower temperature by around 20-25 degrees from original recipes. Convection ovens generally cook faster compared to conventional ovens. This is why it is important to reduce cooking time. You may start by reducing to around 1/3 of the original recipe, and just continue cooking when the food is not yet at its desired browning state. It is better to be sure than to have a burnt food! 4. Do not cover what you are cooking. Airflow is a huge part of the cooking process of convection ovens. 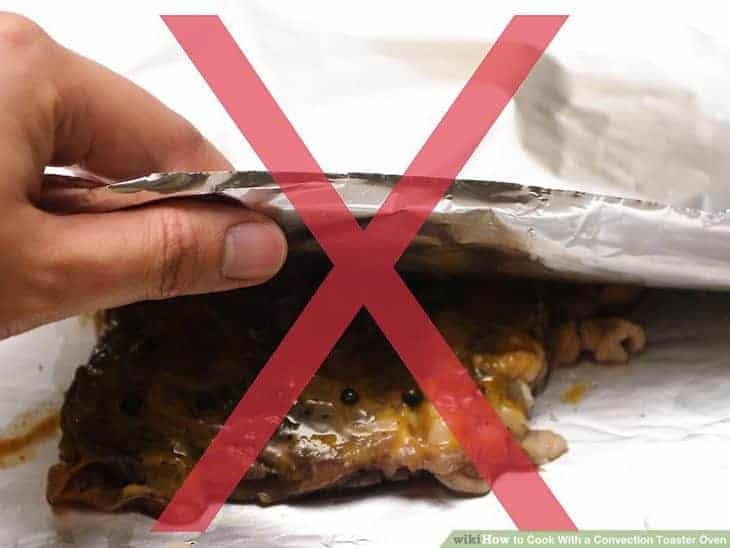 Thus, food must not be covered during the cooking process, because the airflow will be blocked. 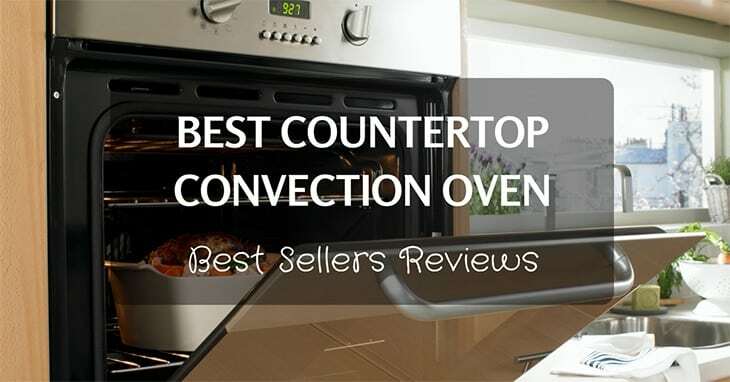 Countertop Convection Oven can be your best friend in cooking, baking, and heating food at home. 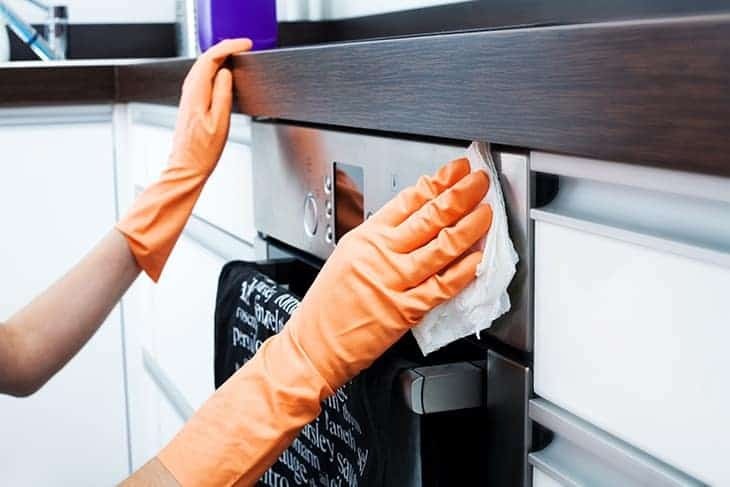 However, when it comes to cleaning, it may demand so much time and effort in order to battle greases and crumbs. ALWAYS unplug your oven when cleaning, to avoid any unwanted electrocution accidents. To remove crumbs, you may gently shake to get rid of food particles. Detach all removable parts, such as racks, pans, and trays. Spray these with an all-purpose cleaner, and scrub gently scrub using a non-abrasive scrubbing sponge. Rinse, and wipe or let it air dry completely. To naturally get rid of grease buildup, you may use citrus oils. 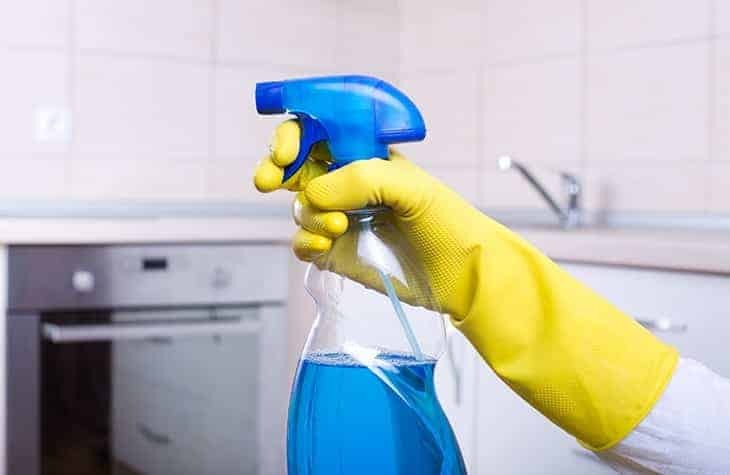 This natural method may not work as well as using chemical cleaners, but it will give your countertop convection a refreshing zesty smell. It is great for light, regular maintenance. Put citrus peels on a pan. Add water to this, and bake at 350 °F for about 20 minutes, and a maximum of 25 minutes only. It is important to keep in mind not to exceed the maximum time, as to not burn the peels. Limes and lemons work best. Breville Smart Oven Pro boasts its Element IQ feature that has 10 pre-set cooking functions that allow you make different dishes: reheat, slow cook, warm, toast slices, bagel, bake, pizza, broil, roast, cookies. It can fit 6 slices of toaster, and a 13” pizza. Each function suggests an ideal cook time and temperature, in order to achieve a precise cooking process for the specific meals you are making. The oven saves these settings for future use. This smart convection oven has a built-in fan that circulates the hot air inside the oven. This speeds the cooking process, reducing cooking time to up to around 30%. The walls on the inside of this countertop convection oven features a non-stick coating. This makes the oven easy to maintain and clean. It also features an interior light, that allows you to have a better view of what you are cooking. The 4 quartz Breville Mini Smart Oven features the Element IQ feature that regulates the power of the individual quartz heating elements to cook the food more quickly and more evenly. It has also 8 functions: toast, bagel, bake, roast, broil, pizza, cookies, and reheat. All of these functions each have recommended preset settings. But these can also be modified based on your preference, and these customized settings will be saved by the oven. This Mini Smart Oven also features flexibility in wattage. 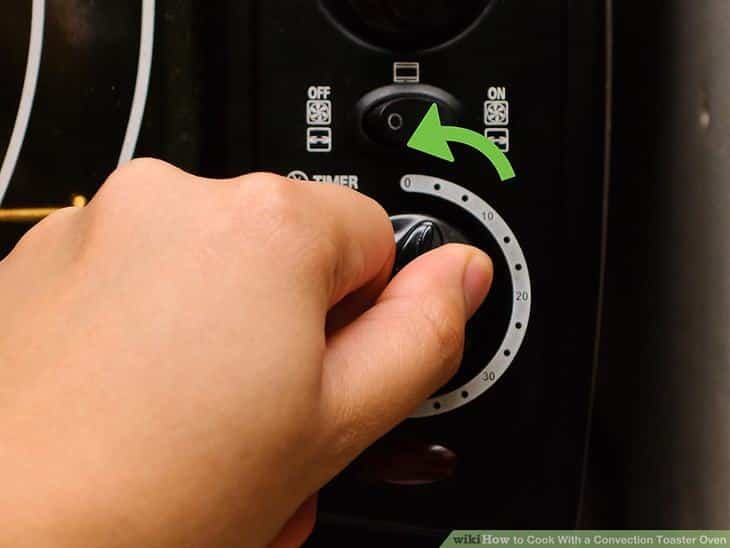 It allows you to increase or decrease power with just a turn of the knob. This countertop convection oven can fit 4 slices and 11” pizza. It has a non-stick interior, 3 rack positions, a pull-out crumb tray, stainless steel housing with ribbed plate warming tray, and a tempered glass door. The Cuisinart Exact Heat Oven is a multifunctional countertop that can serve different functions such as broil, toast, bake, pizza, bagel, defrost, and reheat. It is a 6-slice countertop convection toaster oven broiler that has a 0.6 ft3 capacity. It boasts a modern electronic touchpad controls, clock and oven timers, and shade control with heat sensor. All these maintain and communicate precise temperatures. It has a stainless steel bar handle and side grips, that give it an elegant look. Its interiors are also easy to clean. This 12-inch KitchenAid countertop convection oven claims to provide a consistent and evenly distributed heat for delicious treats. It has 9 pre-set functions that adjusts the temperature for optimal results, depending on what dish you are going to make. These pre-programmed functions include toast, Asado roast, pizza, bake, bagel, broil, cookie, reheat, and keep warm. It features a 60-minute timer that can be used to remind you when what you are cooking is already finished. 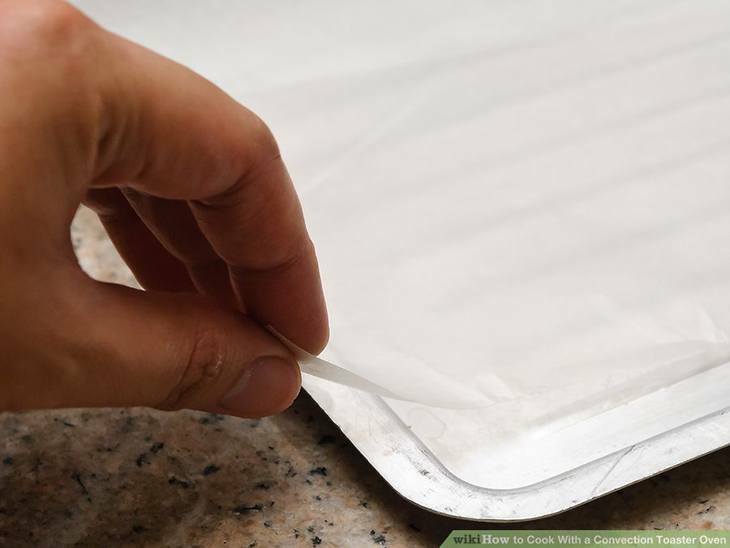 Its oven cavity has a non-stick coating, which makes cleaning easier. It also includes a non-stick pan, a broiling rack, a cooling rack, and a non-stick drip tray. This 6-slice Oster countertop convection oven boasts its large interior, while still at the same time being compact. It can fit up to 13x9 in pans, and can accommodate a variety of meals or cooking. You can defrost, brown, bake, make pizza, broil, or toast. It features two rack positions, which allows you to choose and adjust the appropriate level for optimal cooking. It has an interior light and a see-through glass door, which allows you to better monitor meal progress. It also has a removable external crumb tray for easy cleaning. It features a digital control panel and several pre-programmed functions, that offers precise heat and time settings. Temperature and time can be adjusted with user-friendly controls. Toast shade, from light to dark, can also be selected based on your preference. It has a 90-minute countdown timer, that do not only remind you, but automatically shuts off the countertop oven once it alarmed. The best countertop convection oven is the Breville Mini Smart Oven. It is energy efficient, has the right size - neither too big nor too small, has great features and functions, is easy to clean, and has a great appearance. It has 8 cooking functions, all of which has a recommended ideal settings that can still be modified based on preference. 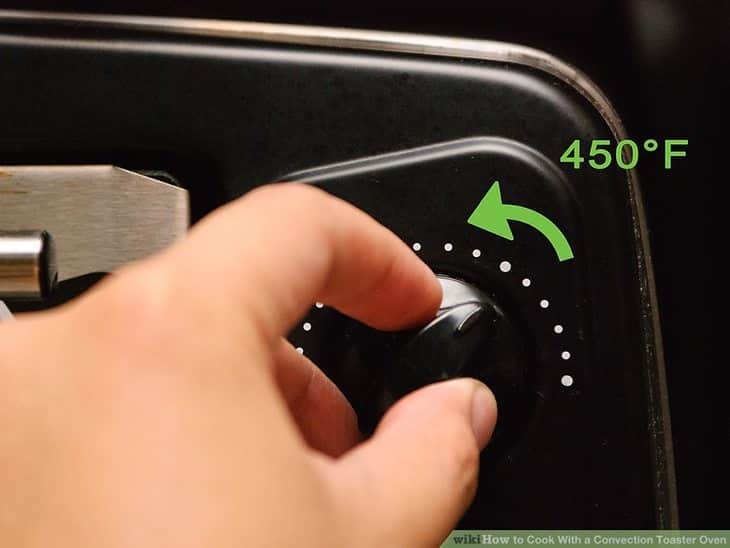 Wattage can also be adjusted in a simple turn of a knob. Its non-stick interior and removable crumb tray also make it easy to clean. We would love for you to share this post and to leave us a comment below. We hope you found this article helpful. Happy cooking!